Now I am in Nepal. Today is my 4th day here in Kathmandu. Over these days, I visited key government offices and expressed to directors, "how we can be of assistance to Government of Nepal (GoN)? Also, we stated our competencise, which can be used in case disease outbreaks should occur in Earhquake hit areas. After thorough discussion, my impression (as of now) is that GoN is working hard to address this emergency situation judiciously. The key aspect we need to understand is that the overall coordination of the relief work is being conducted through National Emergency Operation Centre (NEOC), while the health related activities are being coordinated through Health Emergency Operation Centre (HEOC), which are supported by all key international multilateral organizations like WHO, IVI, UNICEF and other UN organization, bilateral organization and local NGOs and volunteer from many countries. HEOC is spearheaded by Ministry of Health along with other key departments and divisions. Special mention should be Epidemiology and Disease Control Division (EDCD), this division is working hard to control possible infectious diseases outbreaks like cholera, dengue, leptospirosis. 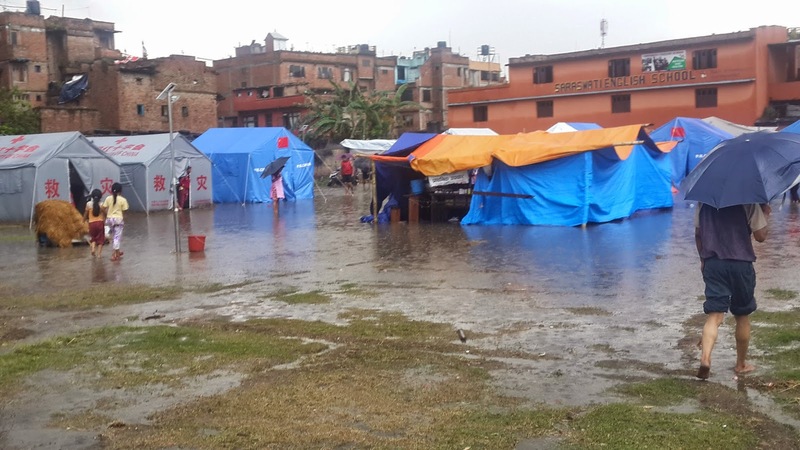 To assist GoN, IVI along with WHO, UNICEF, CDC, JHU and GTA (group for technical assistance) is coordinating closely to tackle possible cholera outbreaks in affected districts in Nepal. Key activities that need to be done at the moment are assessment of cholera risk and then present the findings in Enteric Diseases Steering Committee under the leadership of Director General (DG), Department of Health Services. Surveillance is being strengthened and EDCD and WHO are working closely to pick possible outbreaks at the earliest. There is clear directive from the ministry of health to report all reportable infectious diseases SOS without hesitation. GON (at EDCD) along WHO / IVI / UNICEF / JHU / GTA will work hand in hand to mobilise WHO stockpile of cholera vaccine available. 5th May 2015: On this day, we had a meeting at EDCD (along with IVI / WHO /GTA). Also, visited WHO Program for Immunization Preventable Diseases (IPD) and Sukra Raj Tropical Hospital, Teku. I met Dr. Sher Bahadur Pun, Infectious Diseases Specialist, who shared his experiences and expressed opinion re: landscape of infectious diseases that report in the hospital. He says that yearly sporadic cases of cholera have been reported in KTM valley. 6th May, 2015: On this day, we had a meeting at Child Health Division (CHD) along with representatives from UNICEF, WHO. In the afternoon, I visited GTA office to prepare concept for tackling infectious diseases outbreaks which is highly possible aftermath of Earthquake in Nepal. 7th May 2015: I had meeting with Rotary Nepal to discuss on IVI Rotary Project that we have planned for Nepal. I also understand, we need to work hard to convince people from different background so we can immunize people from cholera or other vaccine preventable diseases (VPDs) in impoverished community. In the afternoon, we again had follow up meeting at GTA for the finalization of the concept note. 9th May, 2015: I visited Kamal Binayak Camp in Bhaktapur in response to possible cholera outbreak. The key issue after a preliminary report shared by one of senior epidemiologist has created noise among public health professionals involved in surveillance of reportable infectious diseases. 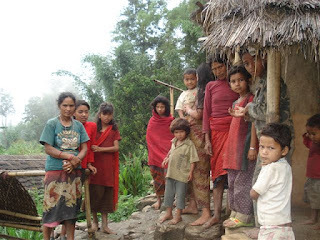 The main concern is laboratory investigation of stool samples collected from those camps in the vicinity of Bhaktapur. We hope that the results of the stool examination will be openly shared and acted upon it.